The Magic Mountain. Organya is the one of the best sites to train acro. The site is at the end of a valley, a big, over a 1000 meter mountain blocking the valley winds. The geography and micro-climate of this place makes mostly any sunny day flyable here, and allows pilots to make runs with plenty of altitude very quickly. Do you have a cool footage about Organya? Do you know about an event related to Organya? After the first test event in 2016 the latest and most radical invitational contest is returning to the mecca of acro paragliding, Organyá! The Acro Game between 24-30th of July will see challenging 1on1 battles to perform latest and most cutting-edge aerobatics moves presented by a small group of carefully selected pilots! justACRO will be there having Pal Takats in the role of the jury. August 13th & 14th 2016, from 5pm to 8pm, held at the Magic Mountain of Organyà. 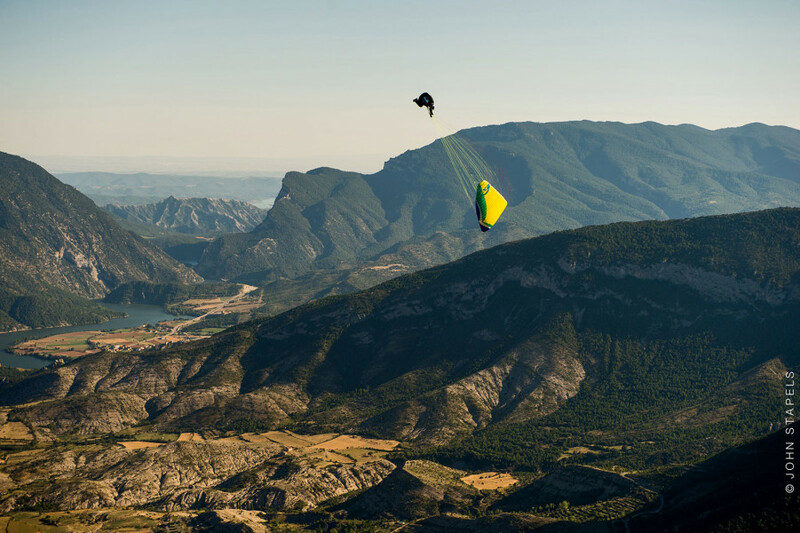 15 of the best paraglider pilots in the world will be there! Classification will take place on Saturday 13th. The next day, only 8 pilots, 1 vs 1, will be competing for the final position. Awards night on Sunday 14th, following by Red Bull party. There are not competitions on Organya. May anybody tell me when its working? And when is the best season?